The Wales international has a new suitor in Juventus and the Serie A champions are in pole position to sign him, according the Daily Express. 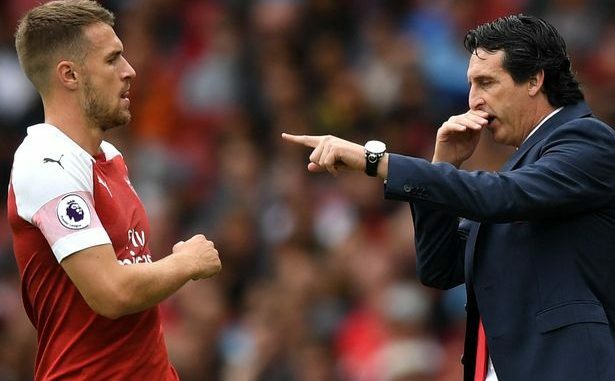 Ramsey’s contract expires at the end of the season and will be available as a free agent next summer after Arsenal withdrew their offer of a new deal. Manchester United and Chelsea had seen him as their top priority, but Juventus want to sign him to a pre-contract next month, when he is eligible to a deal. The 27-year-old has made 350 appearances for the North London side since joining from Cardiff in 2008. Be the first to comment on "Breaking!!! Welcome to London: Arsenal agree deal to complete signing of new Gareth Bale"